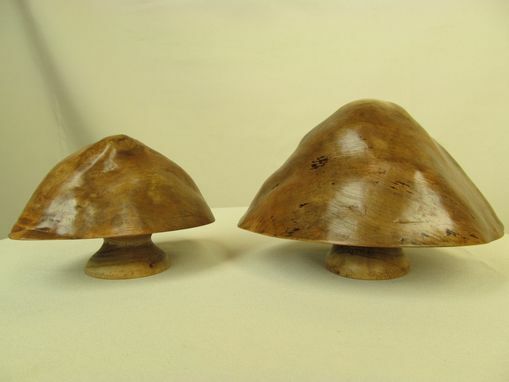 I am offering up for sale two wooden mushrooms carved out of burl wood and mounted on small lathe turned pedestals. 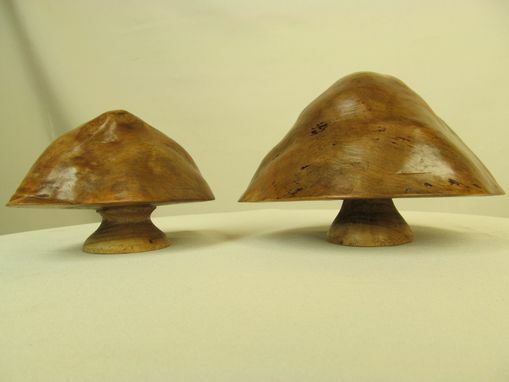 The largest of these mushrooms measures approx 4/ 1/2'' high by 6 1/2 to 7'' across. 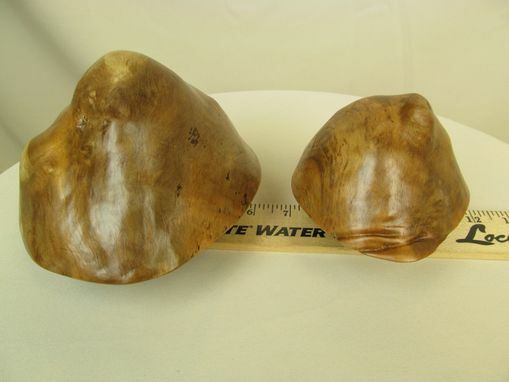 The smaller of the two measures approx 3 1/2'' high by 4 1/2'' to 6 1/4'' across. 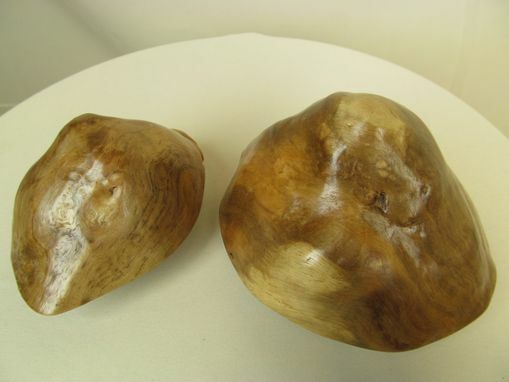 These two pieces could be displayed with good effect in almost any room of the house. They are nice highlight pieces. The mushrooms were created by the artist Robert Morgan, otherwise known as Mogi, and are signed.